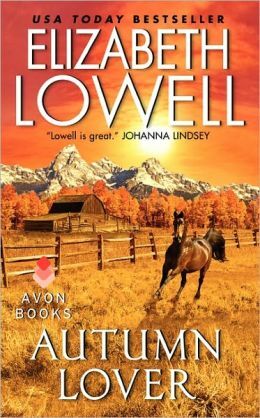 "Hunter and Elyssa's story draws to a satisfying finish that makes it a good bet for Lowell fans and western romance aficionados." In the brisk chill of Autumn, ravaged hearts will be reborn. Returning to her Wyoming ranch at the Civil War’s end, Elyssa Sutton finds it picked bare by scavengers and coveted by determined men. Yet the proud young woman vows never again to abandon her Ruby Mountain home—though it means enlisting the aid of a dark and dangerous stranger who lives for revenge alone. Hunter Maxwell has suffered from the savagery of outlaws and the faithlessness of a woman. And he will trust no female—nor will he rest until the raiders who destroyed his family pay for their crimes.